Award Nights, Christmas and End-of-Year Functions, Parties, School Discos and Formals, Engagements and Weddings - Any Event! Click to view DJ Masters in action - a short video compiling recent celebrations and events at some of our premium venues where we’ve been DJ and MC in Melbourne. A wedding is no ordinary occasion. As Wedding DJs and MCs for literally thousands of unforgettable receptions across Melbourne over the years - weddings are our specialty. Click above to view our professional Wedding DJ and MC services in action, filmed at the Park Hyatt Melbourne. Every event has the perfect soundtrack. Music is powerful. It defines any occasion, providing something beyond any other element of an event and its memories. That’s why you’re not leaving it to just anyone.  DJ Masters brings you the finest DJs Melbourne has to offer, for every event. Our team of talented Melbourne-based Wedding DJs, Party DJs and Corporate DJs are committed to creating the celebration you have in mind. Our premium Melbourne DJ service means your event is complete with a professional DJ, and entertainment designed for your event. Expect powerful equipment, wireless microphones, lighting, full control over music selections, and a professional MC service at no additional cost. Your vision is important, that’s why you have as much control over the music selections as you desire. Alternatively you can define the idea and feel you’d like to create, and we can create the ideal soundtrack for you. Reading the crowd and closely following the mood of your guests to ensure everyone is up and celebrating, has been the key talent to our success and status across Melbourne. Twelve years ago DJ Masters established a boutique professional DJ service in Melbourne, and is now resident to some of Melbourne's finest venues and event professionals. We are proud to have built an exceptional reputation as the reliable and professional Melbourne DJ and MC service. Our mission is simple - to craft and deliver the perfect, unforgettable atmosphere for your event, with professionalism, experience, style, and the perfect soundtrack.